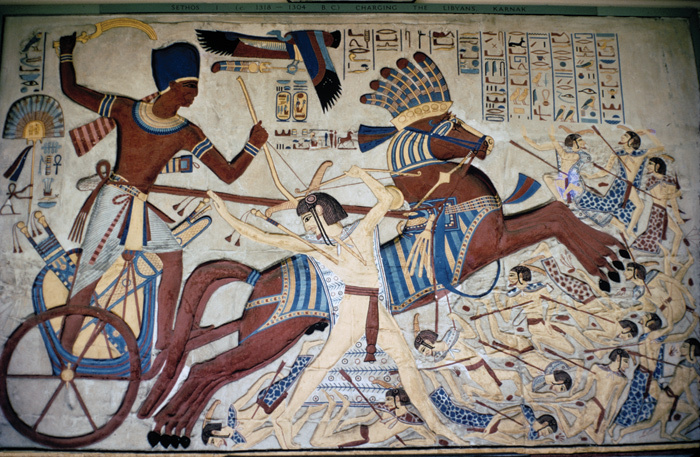 To pursue the Israelites, Pharaoh needed his chariot properly harnessed and prepared. Normally this kind of task is performed by the staff, not by the king himself. Kings have a royal dignity to protect. They certainly don’t get their hands dirty or carry out tasks which can be deputed to others. So why does the Torah say (Ex. 14:6), “And he harnessed his chariot, and took his people with him”? One would expect that “he harnessed his chariot” would denote that the deed was done in his name, not by him himself. Rabbinic commentary does not entirely agree in this instance. It suggests that the Egyptians were totally cowed by all that had come upon them by the ten plagues and they wanted nothing more to do with the Israelites. Possibly the mutiny reached even the royal court and its stables. So what did Pharaoh do? He forced their hand by making them show their loyalty. He personally prepared his chariot and told his staff and people that he was going to chase the Israelites himself, whether they came or not. The ploy worked. Maybe grudgingly, perhaps shamefacedly, they stirred themselves and went along with the king’s wishes. The result was that “he took his people with him”.